Are you frequently putting out proverbial fires, and dealing with urgent crisis after urgent crisis? The Eisenhower Matrix helps in making progress on the important things in life. It serves as a tool to delineate the important from the unimportant, and the urgent from the non-urgent. On top of that, it also provides a way to reflect on the issues we face with a different perspective. While some urgent crises are unavoidable, we often fight fires that we can prevent from starting. It’s these preventable fires that the Eisenhower Matrix helps us address before they start. Look useful? Grab your copy of the “Do what’s important with the Eisenhower Matrix pocket guide” now. Any time you encounter the proverbial fire that falls into the urgent and important category — quadrant 1 — of the Eisenhower Matrix, look to see if and how it can be addressed earlier. Ask yourself how those fires started. What really caused the fire? What kindling and and materials are fueling the fire that is burning? Are there things that ignited the fire that aren’t apparent at first glance? As an analogy, let’s look at an ant problem. We see ants in the house and work to address it. We notice the ants coming through a hole in the window screen. Seeing that, our initial thought is that our problem is that hole in the screen. So, we look to repair it. While the hole does need fixing, that hole isn’t the root of the issue, it’s not the cause of our proverbial fire. When we look closer, we discover the real issue comes from the spilled bottle of syrup in the cupboard. It’s the sweet syrupy deliciousness that is attracting the ants from untold distances. If we only fix the hole in the screen the ants will find another way in. If we clean up the syrup and any open food sources, the ants will have no reason to come in the first place. With that our fire is out, and it is fairly well solved. To prevent such calamities from happening again, we can still go further. Cleaning up the syrup is a first step in preventing another ant fire. From there, we look to see how we can prevent spilled syrup in the first place. Perhaps we keep syrup in the fridge where it is less likely to tip over, and sealed away even if it does. Maybe we get a special rack to store syrup containers so they can’t tip. Regardless of our solution, the effort here saves us from unexpectedly running into a disruptive, time-consuming, and stress-inducing ant superhighway later. When you find a way to take on the issues that lead to ants/fires earlier, or head them off completely, you no longer have to fight so many emergencies. For example, schedule regular exercise breaks so you don’t get heart problems. Brush your teeth and visit the dentist regularly so you won’t need that root canal or the false teeth. Schedule dedicated time to work on your project early so you aren’t hitting deadlines with lots left to do. Do basic maintenance on your house so that the roof doesn’t cave in when it rains. 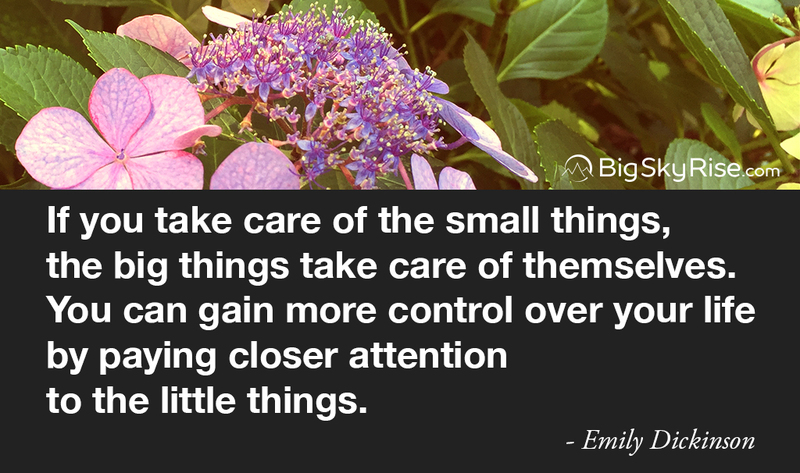 Basically, fix the small things that can lead to big things. Address important issues by scheduling them, thus ensuring they don’t become urgent and important. The overall goal is to reduce the important and urgent tasks as much as possible. That way the only urgent crises and proverbial fires you face are the ones which are truly inevitable and come from unpredictable circumstances, instead of just poor planning or negligence. Adding to that, to help prevent emergencies from creating more emergencies, build room into your schedule for such crises to happen. While in the broad sense, the chance of a specific, given emergency happening is very low, the chance of some emergency happening is quite high. By leaving flexible time in your schedule, you create space. That space gives you room to address an unavoidable emergency and still take care of the things that will help prevent a different emergency from cropping up later. Get help with proverbial fires. 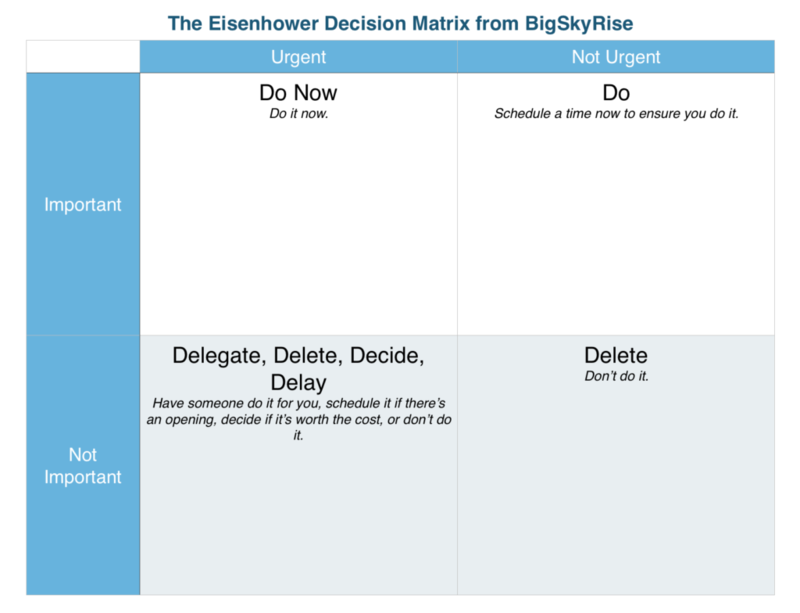 Get the “Do what’s important with the Eisenhower Matrix pocket guide”. When you encounter crises and proverbial fires, pay attention to their root causes. Utilize the Eisenhower Matrix to address them by scheduling the important tasks that would prevent those emergencies from developing. Additionally, leave space in your calendar to deal with emergencies, since they are bound to happen at some point no matter what you do. Pay attention to the fires you’re putting out. Find ways to prevent those fires from forming. Schedule out time to take care of the issues you find. If you think there is anyone this post might help, please share it with your connections and the world.